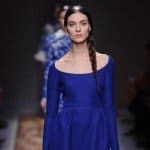 It’s hard not to notice that loads of people get excited about Valentine’s Day and we can say that everyone from 7 to 77 celebrates the holidays in their kind of way. 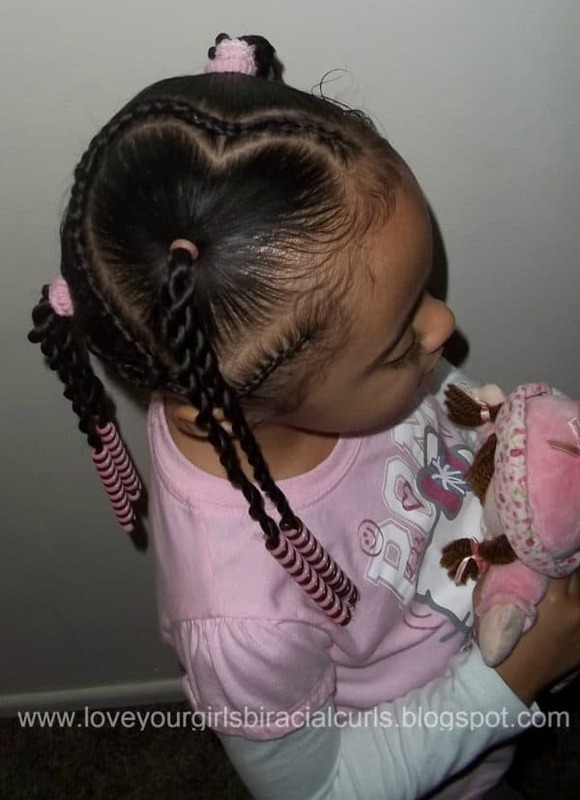 Today we are going to focus on the lovely little girls who want to try out different hairstyles for different occasions. 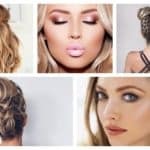 The Valentine’s Day hairstyles are characterized by the heart shape and there are various ways to make them. I have collected for you lots of different ideas, and I believe that I’m going to match the taste of everyone. 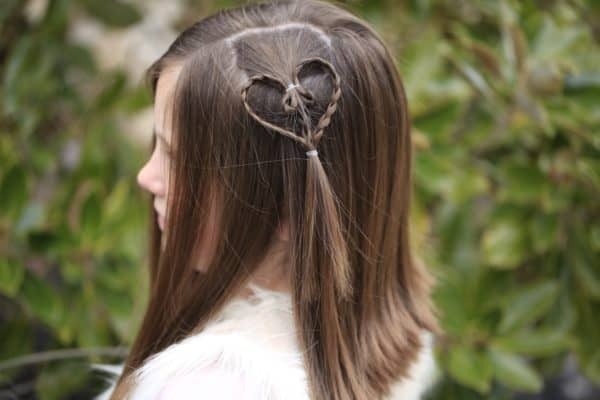 Scroll down through the photos below and see the Cutest Valentine’s Day Hairstyles For Little Girls. 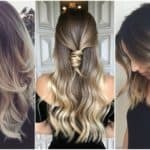 Get your girls in front of the computer and let them choose the hairstyle they want to have for this holiday. I’m sure that you will have lots of fun and this is a great way to bond. So, what are you waiting for? Happy scrolling! 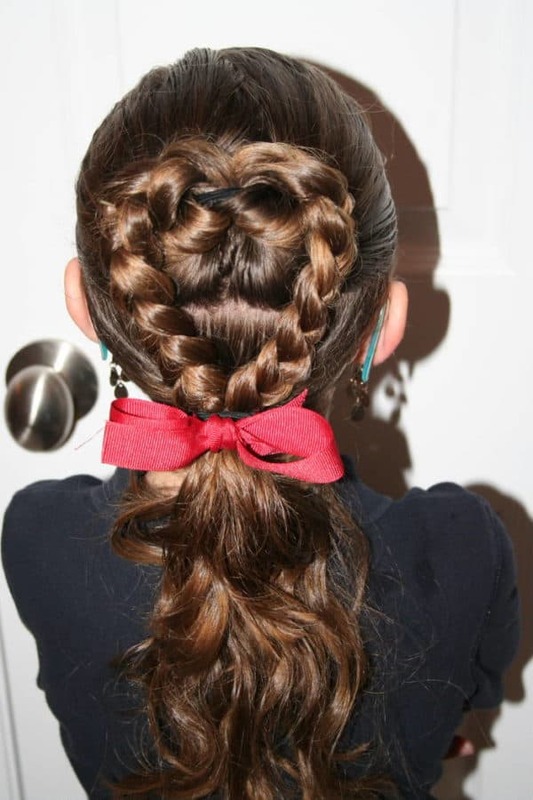 Here’s one great way to start if you aren’t feeling confident about making this hearty hairstyles. 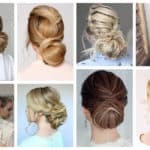 This tutorial will show you how to do it step by step and once you learn it you can make use of the same technique for some the following hairstyles. 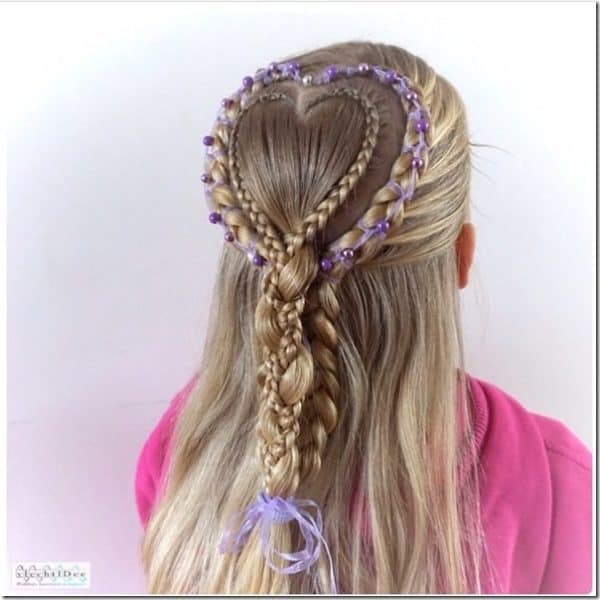 What do you say about this braided hairstyle that has three hearts as well? 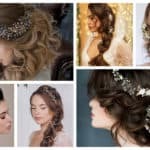 It’s such a lovely hairstyle that everyone will notice and your girls will look amazing on Valentine’s Day! 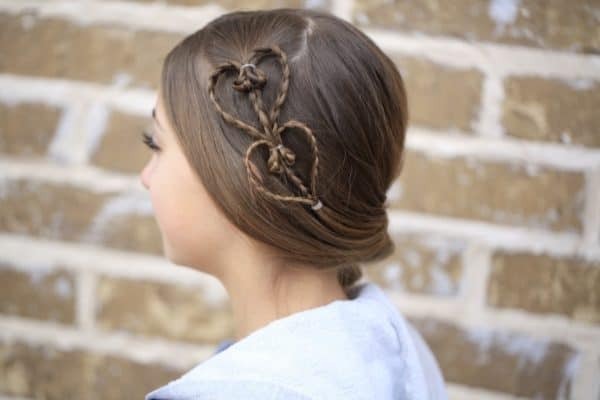 If you want to put the hair away, it’s time to try out this stunning braided hairstyle in the shape of heart, of course! 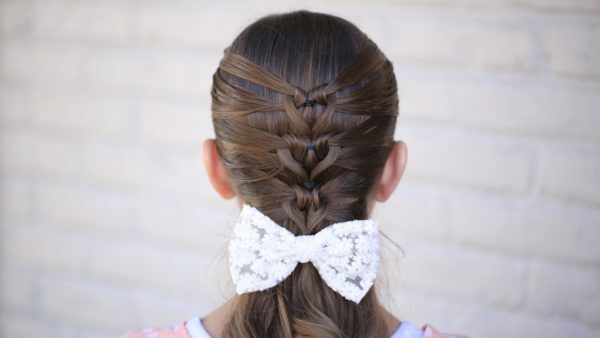 It looks really chic, and this hairstyle is suitable for both formal and informal occasion. 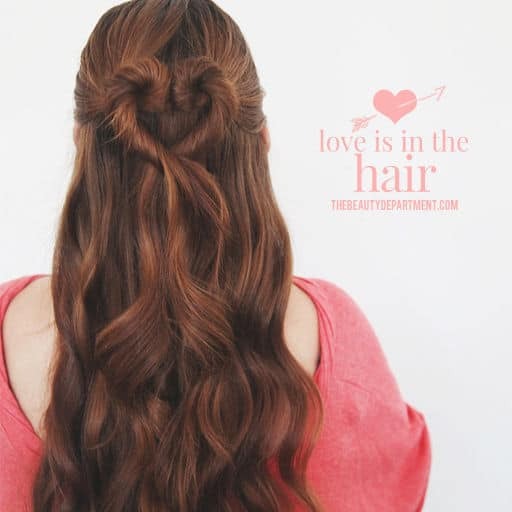 Love is the hair! 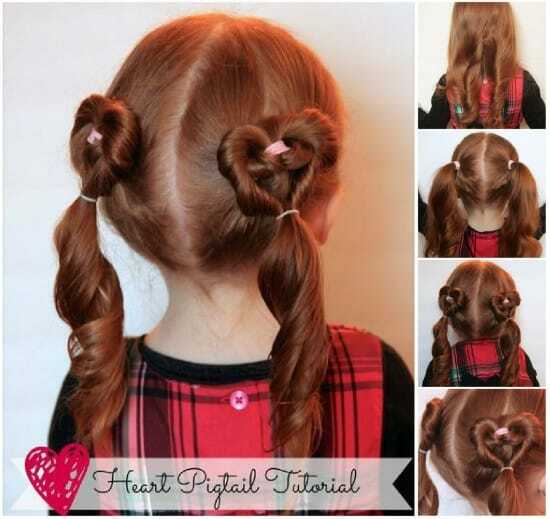 If you want to create a heart in your girls’ hair and still let the hair fall, this is the perfect hairstyle that you should make. 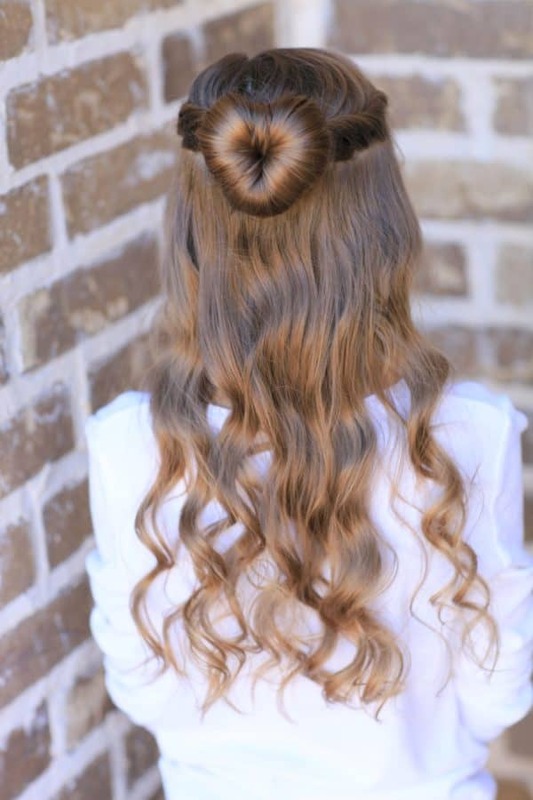 The curls accompany the cute look and they look just fantastic all together! 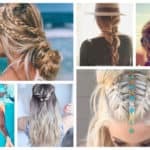 You can add beads to the hairstyle and make it more playful and fun. Choose a matching color with the outfit and give your girls a polished look. 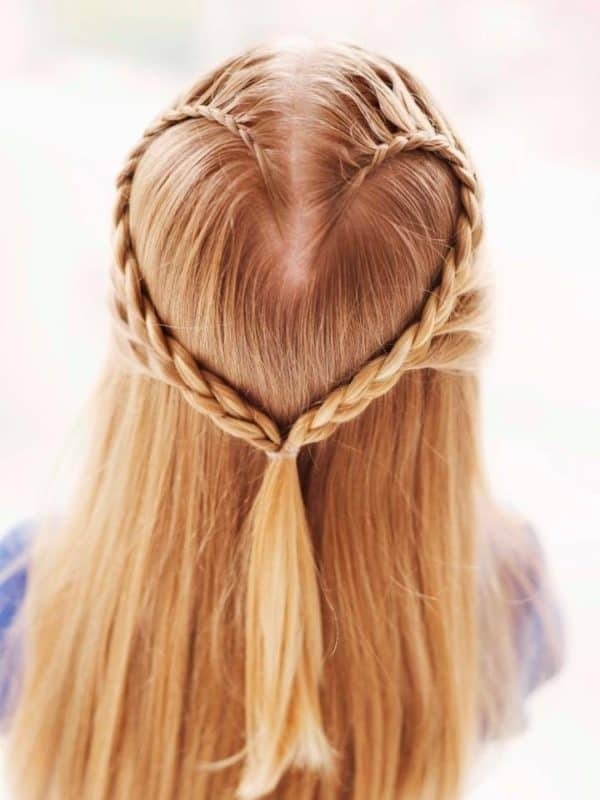 I’m totally in love with this braided heart and I’m even thinking about copying the look myself! What do you think about it? Isn’t it adorable? This hearty bun is going to grab the attention of everyone and people will ask you how you have made it for sure! Be ready to get tons of compliments! I hope you and your girls have a wonderful holiday!